Bolivia is surrounded by popular tourist destinations like Peru and Brazil, but it has only been in recent years that the landlocked country has begun to build a reputation of its own among tourists. Yet, Bolivia has a great deal to offer. Not only does it provide many of the same kinds of opportunities as its neighbors, it does so at a price sure to appeal to every budget. Here are three great vacation spots to consider in Bolivia. Located in subtropical, east-central Bolivia, Santa Cruz generally stays warm year round. The area features some of the most spectacular Spanish Colonial architecture in South America. If you just can't stop looking at flights and accommodation while checking your email and playing foxy bingo online (www.foxybingo.com), then you'll have your mind blown when you finally arrive. And while you are there, make sure to take an excursion to the Fuerte de Samaipata archaeological site. The huge sculptured rock features carvings and other testaments to life as it was here before the arrival of the Spanish colonists. The ancient Inca site is still under excavation, and many believe it will one day rival Machu Pichu. And Noel Kempff Mercado National Park, one of the largest in the Amazon Basin, is accessible by plane or boat. Featuring breathtaking waterfalls, and countless species of flora and fauna, it's a must see. If you go by boat, you may even be fortunate enough to see the pink river dolphins in the deep, lazy rivers. If you're looking for an ideal place to kick back and relax, go to Copacabana. 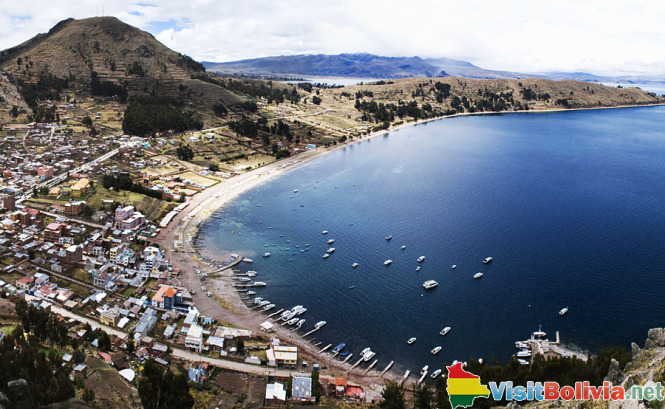 The primary city on Lake Titicaca, Copacabana is renowned for the warmth of its people. In addition to the friendly, small town atmosphere, you will be able to relax by the scenic lake. If you're a sportsman, the lake is known for its trout. Even if you're not, when you're feeling adventurous, you can hire a boat to take you to the sacred island of the Inca, Isla del Sol. Sucre is an excellent place to view Spanish Colonial architecture. Called the white city (Ciudad Blanca) for its white colonial style homes, the sites here are so numerous that many tourists opt for a guided tour. The history is rich in historical sites, having been one of the key cities to the silver trade during Colonial years as well as the place where Simon Bolivar declared the region's independence from Spain in 1825. 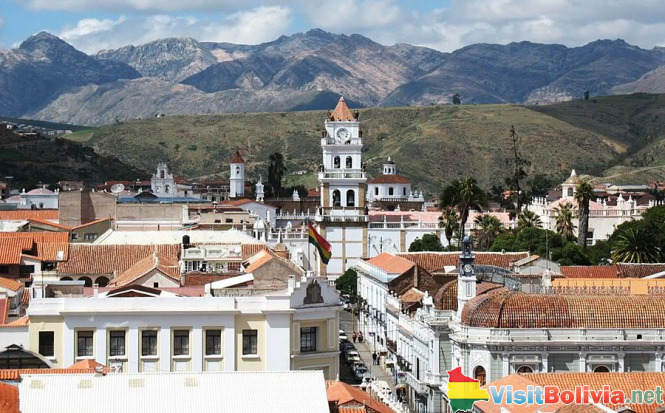 Sucre's location in the valley country between the eastern and western Andes ranges provides a warm, pleasant climate year round, ideal for tourists. In addition to the numerous religious and historical sites in the city, you may want to check out the Textile Museum at the Museo de Arte Indigena, featuring the colorfully artistic handiwork of the area's native people or the Cal Orck'o, featuring numerous preserved dinosaur footprints.